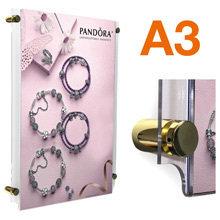 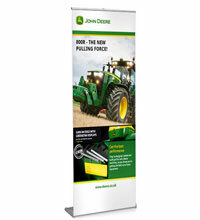 Create eyecatching displays with our wall mounted acrylic poster holders with BRASS standoff sign supports. The polished wall supports set the poster 18mm from the surface giving the display an elevated effect. Once securely mounted to the wall throught the pre-drilled mounting holes the posters can be easily replaced from the top opening section of the pocket. 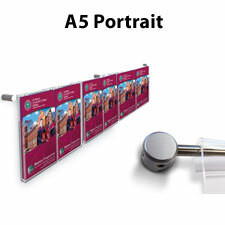 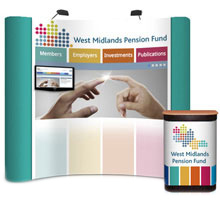 The poster pockets are highly effective in a host of venues including theatres, museums, colleges, universities and general receiption and foyer areas.